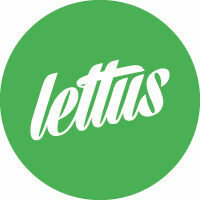 In compliance with the General Data Protection Regulation (EU) 2016/679 of the European Parliament and the Council of 27 April 2016, we inform you that the data provided by you will be processed by LETTUS SALADS S.L. with CIF B93366813, with address at FUENGIROLA (MALAGA), C.P. 29640, AVENIDA JUAN GÓMEZ JUANITO 16. The legal basis for the treatment of your data is the execution of the requested service. The prospective offer of products and services is based on the consent that is requested, without in any case the withdrawal of this consent conditions the execution of the contract. You have the right to obtain confirmation as to whether LETTUS SALADS S.L. We are treating your personal data and therefore you have the right to exercise your rights of access, rectification, treatment limitation, portability, opposition to the processing and deletion of your data as well as the right to submit a claim to the Control Authority by writing to the postal address mentioned above or email parranavarro@lettus.es attached copy of the DNI in both cases. We also request your authorization to offer products and services related to those requested, loaned and / or marketed by our entity and thus be able to retain you as a customer.